Please note that I am not a doctor and I don’t play one on the internet. I’m just sharing resources that I found helpful and I encourage you to do your own research on this topic. After birth, it takes several months for the joints to stretch out naturally. Babies that have been in the breech (bottom first) position may need even more time to stretch out naturally. The hip joint is a ball and socket joint. During the first few months of life the ball is more likely to be loose within the socket because babies are naturally flexible and because the edges of the socket are made of soft cartilage like the cartilage in the ear. If the hips are forced into a stretched-out position too early, the ball is at risk of permanently deforming the edges of the cup shaped socket (hip dysplasia) or gradually slipping out of the socket altogether (hip dislocation). Hip dysplasia or dislocation in babies is not painful so this may go undetected until walking age and may also result in painful arthritis during adulthood. The risk of hip dysplasia or dislocation is greatest in the first few months of life. By six months of age, most babies have nearly doubled in size, the hips are more developed and the ligaments are stronger, so are less susceptible to developing hip dysplasia. We had two slings for BB, one that sat her in a similar position and one that was front facing and left her legs dangling, useless, pulling her hips down, creating a pressure on those fragile joints. I have had three children and was never advised of the dangers of carrying your baby outwards. It took a diagnosis of hip dysplasia, a six hour operation including bone grafts, a blood transfusion, and twelve weeks in a half body cast for me to learn an incredibly hard lesson. Hip dysplasia is the abnormal formation of the hip joint. It can range from very mild, such as just having loose ligaments around the hip, to severe, where the hip is dislocating (popping out) from the hip joint. Even in its mildest form, hip dysplasia can lead to severe problems in later years of life, where the cartilage around the ball of the hip is damaged. This can end up leading to osteoarthritis and eventually, to a hip replacement in older adults. Often in the early stages of mild hip dysplasia babies and children may not even experience pain or show any symptoms whatsoever. Pediatricians do often check for hip problems in babies, and hip dysplasia is the most common hip developmental deformity in children. It is estimated by the Center for Disease Control (CDC) that 1-2 of every 1000 babies have hip dysplasia. However, many more go undiagnosed, as it may be too mild to even detect. These cases may not even present problems until later in life such as early adulthood. The way infants are positioned in the womb and in the first few months of life determine whether the hip can form properly. 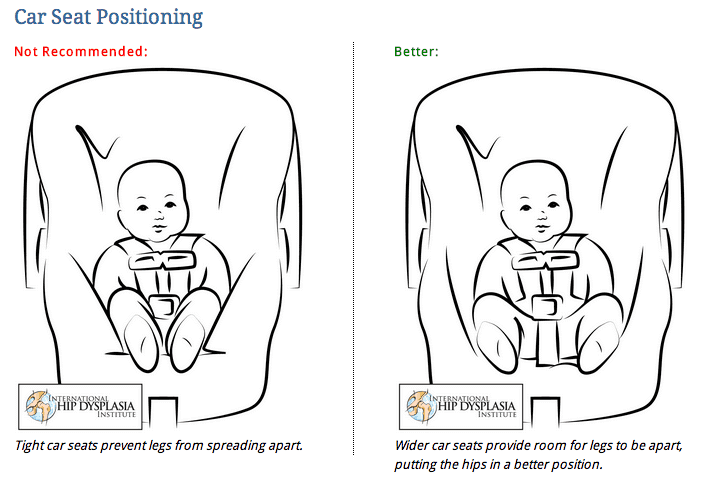 It has long been known that breech positioned babies are more prone to hip dysplasia. Similarly, babies whose legs are forced straight either by swaddling or dangling also have an increased risk of hip dysplasia. Straightening the legs places a lever-like force on the femur, encouraging the hip to pop out of the socket. The first signs of hip dysplasia are clicking or popping of the hip joint, followed by sway back and/or limitation in range of motion of the joint. Typically pain does not occur for many years, often beginning in adolescence and persisting and worsening as the person ages. Hip dysplasia leads to degeneration of the joint, which can be incredibly painful and crippling. The exact cause(s) are not known. However it is widely believed that hip dysplasia is developmental. This is because hip dysplasia is known to develop around the time of birth, after birth, or even during childhood. 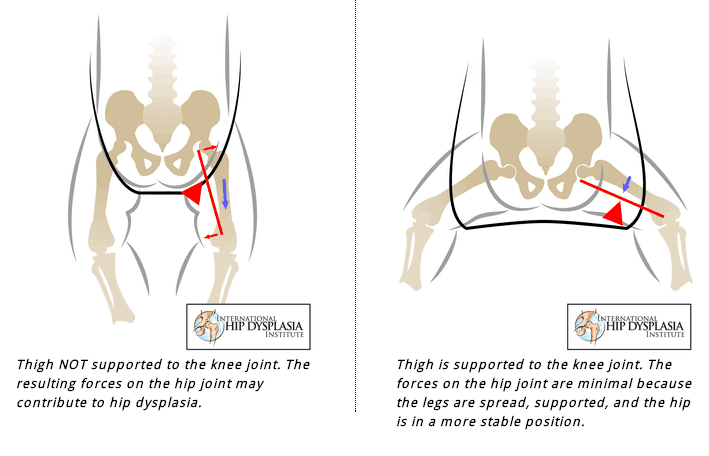 This is also why hip dysplasia is often referred to as developmental dysplasia of the hip (DDH). Hip dysplasia is approximately 30 times more likely when there is a family history. Genetics plays a role, but is not a direct cause of hip dysplasia. Unfortunately, some cases of hip dysplasia are present at birth and can’t be prevented. The International Hip Dysplasia Institute explains that many cases can be made worse by improper swaddling or baby wearing. 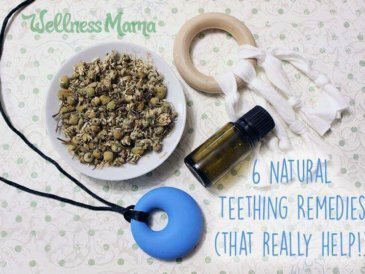 I wear my babies often and my last little one was born breech, so this was an issue I wanted to research and take steps to help prevent. 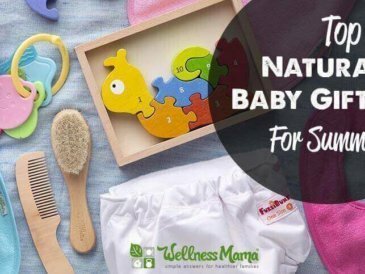 Turns out that simple things like baby wearing, swaddling and car seats can affect baby’s proper health development. So how does this affect baby wearing? If a baby is diagnosed with even a mild case of hip dysplasia, the International Hip Dysplasia Institute recommends proper baby wearing that supports the baby’s hips in a V form, not using crotch danglers that may lead to further complications and degeneration of the hip. As stated earlier, many cases of hip dysplasia are undiagnosed. If our children are diagnosed with a problem, do we not do everything we can to help them overcome their problem and give them every chance to live life to the fullest? What if your baby or child has a very mild form of hip dysplasia that is not yet known? The possibility of developing problems later in life is great. As I said earlier, prevention is key. After talking with colleagues that specialize in pediatric physical therapy, and reading posts by several chiropractors and doctors, proper baby wearing will promote proper growth and development of the hip joint. Proper baby wearing places the baby or child’s hips in that V-Form I mentioned, with their knees higher than their bottom. It supports the hips and keeps the ball of the hip tight into the socket. So I ask you, do we wait to hear of our children’s pain and problems later in life or do we take steps now to give our children the steps to maximize their potential. I know where I stand. I personally love wearing baby in a sling or carrier as it allows me to safely have baby near me and still be able to walk, clean house, etc. Once I mastered nursing in a sling, I was able to get much more done! That being said, it was also very important to me to choose slings that support baby’s hips correctly, especially for my last daughter who was breech. From my research, baby wearing itself is not the problem, only using an improper carrier. 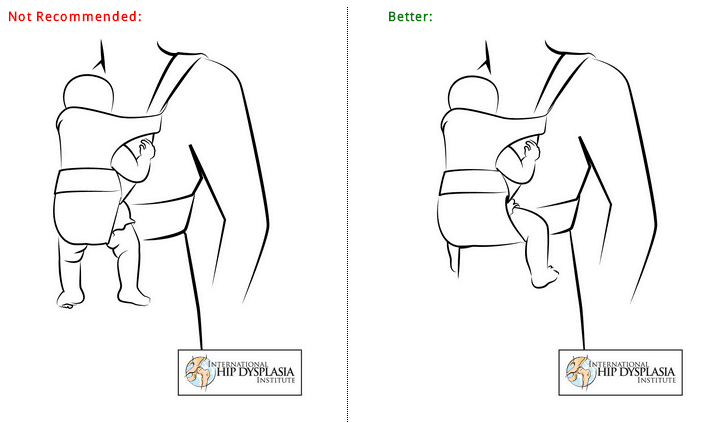 In fact, it seems that proper baby wearing can help promote proper development of the baby’s hips. The main idea is to choose a sling that supports the legs, taking the pressure off of the hips. It is better to avoid carriers that just support the crotch, leaving the legs to hang down and dangle in an un-natural position. There are definitely others that will work, these are just the only ones I have tried. My favorite is probably the Ergo after 3 months and the Moby before then. Carriers like the Baby Bjorn and other crotch supporting slings don’t provide this same benefit. From what I can tell, most car seats are wide enough to be safe for little ones, though I did measure and choose the widest one I could find when choosing ours. I had no idea until I started researching that swaddling can also cause problems for baby’s hips if done incorrectly. 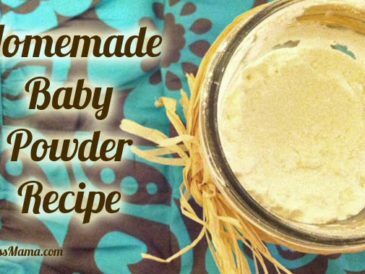 Luckily, my kids didn’t like being swaddled much, so I didn’t do this wrong very often, but there is a specific way to safely swaddle a baby. I now use large muslin blankets that breathe more easily and that provide enough room to swaddle baby the correct way (these are my favorites). “Asymmetry– Asymmetrical buttock creases can suggest hip dysplasia in infants but, like a hip click, an ultrasound or x-ray study will need to be done to determine whether the hips are normal or not. Find out more about Asymmetry. Hip Click– Hip clicks or pops can sometimes suggest hip dysplasia but a snapping sound can occur in normal hips from developing ligaments in and around the hip joint. More about Hip Clicks. Limited Range of Motion– Parents may have difficulty diapering because the hips can’t fully spread. Pain– Pain is normally not present in infants and young children with hip dysplasia, but pain is the most common symptom of hip dysplasia during adolescence or as a young adult. 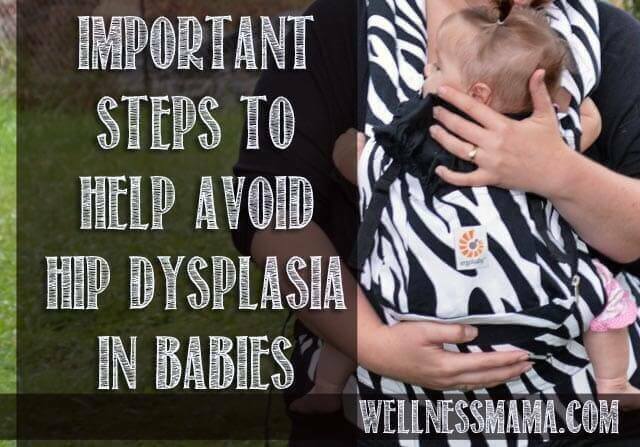 Did you know about the risks of hip dysplasia? 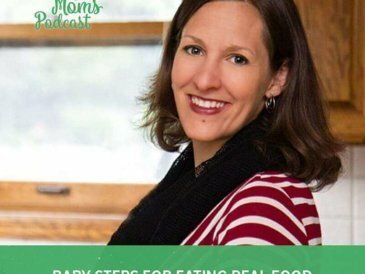 Do you follow any of these steps? Please help spread the word…and share below!